Time for a bit of imagination! 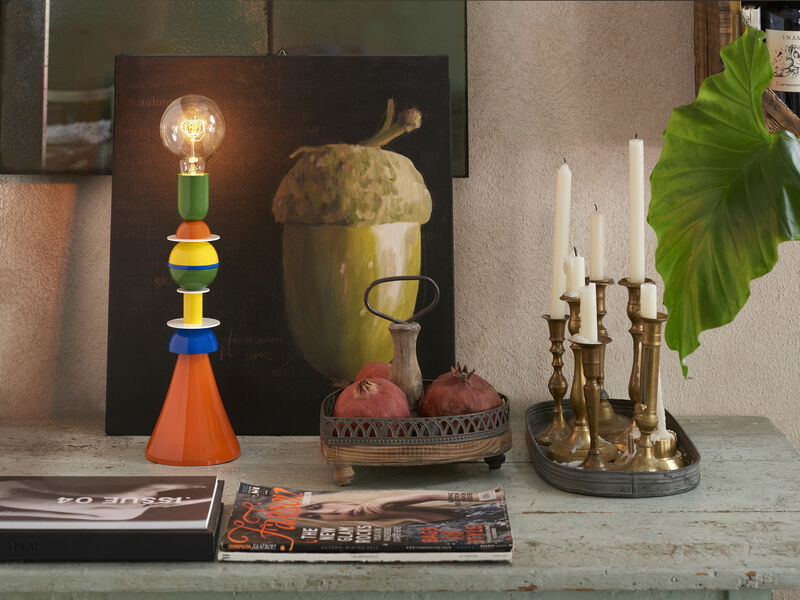 Otello consists of a stack of fun geometric shapes in bright colours. This unconventional, sculptural lamp is a domestic totem, and a tribute to the famous Memphis movement. 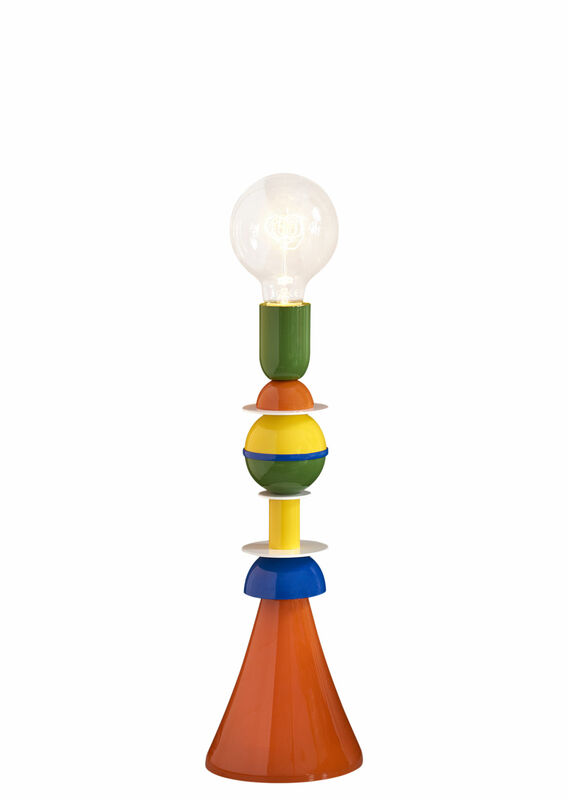 Founded in Milan in 1981 by Ettore Sottsass, Memphis became THE subversive label in Italian design with its quirky, wacky and colourful universe. Created from lacquered aluminium, this very decorative lamp will add a cheerful note to any room in your home! The lamp comes with a pretty incandescent bulb with retro style filaments.